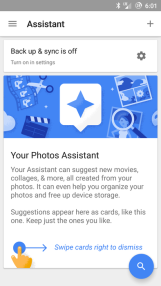 We've already taken an extensive look at all the options and interface changes in the new and unreleased Google Photos app that should be decoupling from Google+ and hitting our devices sometime down the line, and now it's time to peek behind the scenes at the app's settings, specifically its backup options. 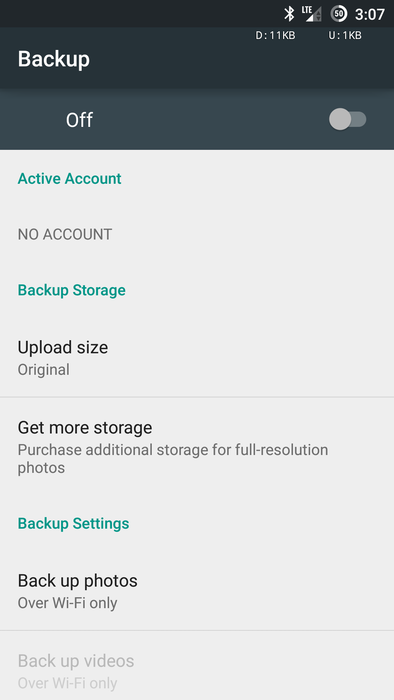 With the current Photos app, the first run asks you to enable or disable photo backup and asks whether you want to use cellular networks or not. 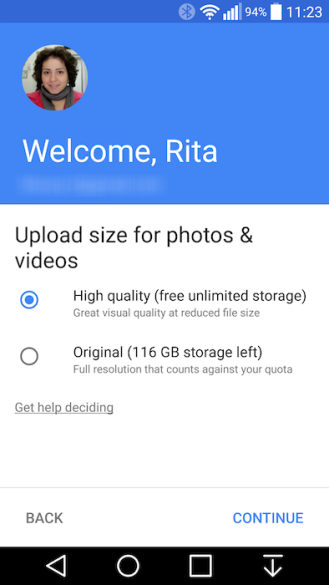 The new Photos app adds another step in this process where it lets you set up high quality photo uploads (unlimited) or original full resolution ones (using whatever Google storage you have available), saving you from having to dig into settings to switch to your preferred upload size. 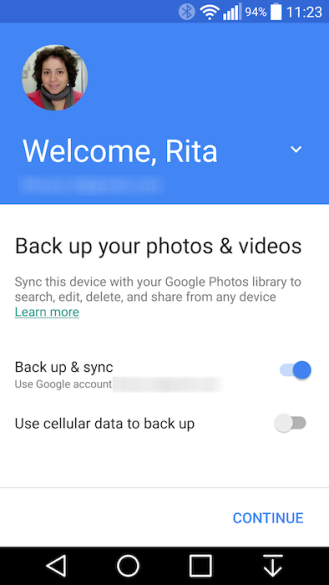 The new Photos' backup settings remain mostly unchanged from the current app. However, a few distinctions are worth noting. First, the settings will now integrate with Google Play Services, under Google Photos Backup. 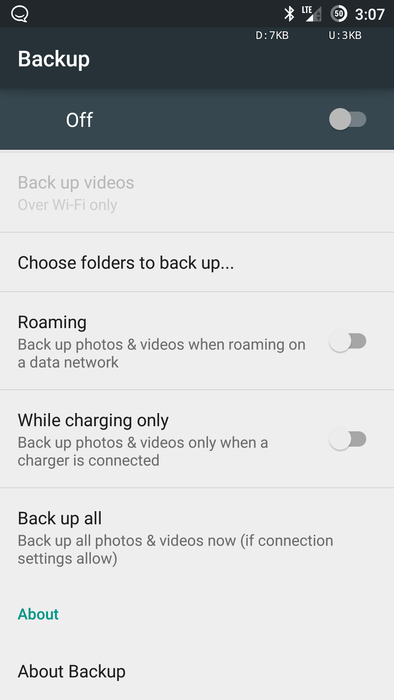 You can still enable/disable backup, pick the original size or the high quality one, choose to use cellular networks or only WiFi, (there's still no option to disable video backup while leaving photos on), restrict it while roaming and charging, and force a full backup. 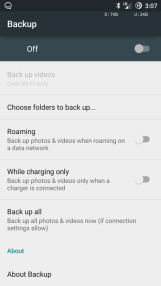 The second change affects choosing folders for backup. 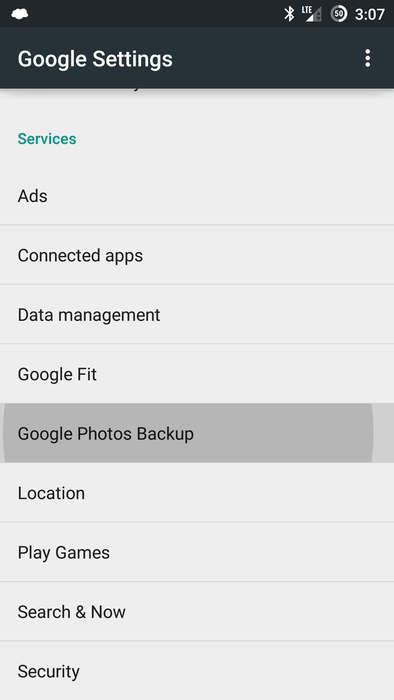 In the current app, you have to know to head into Device Folders, spot the upload icon next to each folder, and scroll through all the thumbnails to individually mark each folder for backup or not. 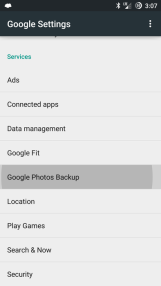 In the new Photos app, a "Choose folders to back up" option shows up in settings, and tapping it takes you to a simple list of all your folders with sliders to enable to disable them. 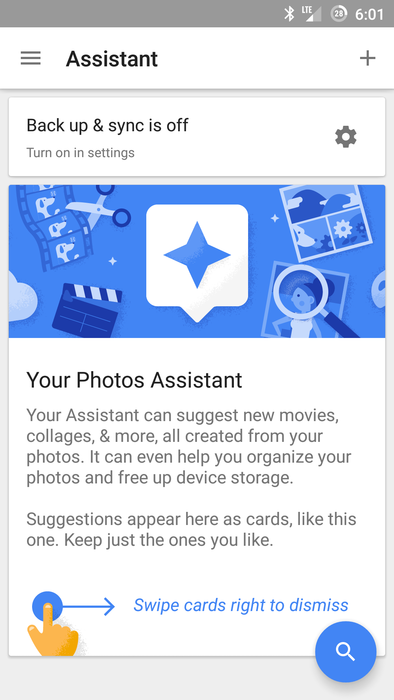 It's more intuitive and less hidden (although the old option remains for now). 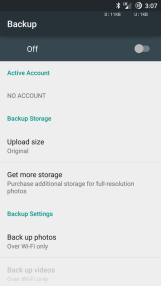 You should also still receive notifications when new folders are created, asking you whether to back them up or not. So all in all, this new Photos app seems to be a lot more transparent when it comes to backups, making it easier to choose the upload size from the get-go, find its settings with other Google services, and pick which folders get sent to the cloud and which remain on your device.